He acknowledges it won’t satisfy everyone, but Lloyd Ferguson says he believes he’s found a way around a new arsenic regulation threatening to close a popular artesian well on Sulphur Springs Road by the end of the year. 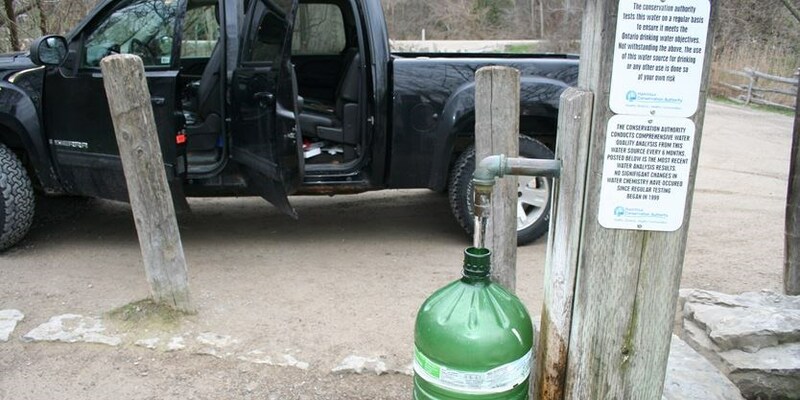 The Ancaster councillor said he will present a plan to Hamilton Conservation Authority directors this week to fence the well’s parking lot and introduce a swipe-card entry gate to limit public access. He said to get a card, expected to cost “in the $10 range,” people would sign a waiver relieving the authority of any legal liability for using the well’s water, which typically has arsenic levels of 17 to 23 parts per billion. That’s below the existing limit of 25 but above the maximum of 10 set to take effect Jan. 1. A sign at the well would also warn the water isn’t for drinking because of its elevated arsenic and sodium levels. It’s nice to see people working toward a solution, but when you get right down to it, will the well users embrace it?Ferguson said these steps will allow the well to avoid the new arsenic limit because it will no longer be considered a small public drinking water system by the province. He said the city’s medical officer of health and the authority’s lawyer both agree his approach gets around the regulatory classification. His plan is also no longer competing with an alternate proposal to have the Spring Valley Community Association offer to buy the well site for $1 after the latter was rejected by the nonprofit group’s executive at a private meeting last week. 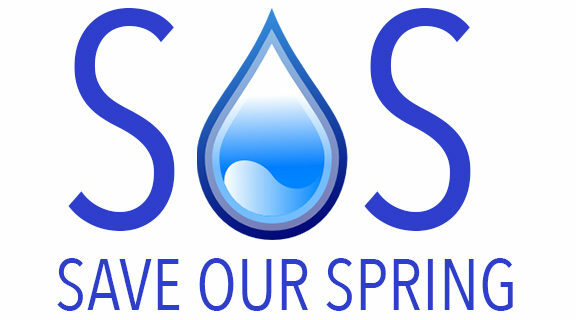 Chris Krucker, who helped form the group Save Our Spring to fight the well’s possible closure, said he and members of a steering committee are looking at the plan “in a positive way” but want to hear how the community feels. SOS is holding a public meeting on the proposal at 7 p.m. on Oct. 10 at the Copetown Community Centre — one Ferguson said he plans to attend. “The devil is in the details,” Krucker said. Among concerns he’s heard is whether the plan breaks a condition in the deed to the well property, purchased from the then-Town of Ancaster in 1998, requiring the authority to maintain free public access. “This (plan) is in part because the community said we don’t want the well to be closed, and we don’t want the well to be treated was another big message, so Ferguson has heard that,” he said. Among those rejecting the swipe-card approach is Joanne Turnell, who pitched the rejected proposal to have the Spring Valley group buy the well. She said she believes it does violate the land-sale agreement to maintain free access and feels all that’s really needed is a sign warning of the elevated arsenic. Even then, Turnell said, she doesn’t think the arsenic is a problem and sees Ferguson’s approach implicitly conceding as much. Ferguson said his plan allows people to choose whether to drink the well’s water, but those holding up the property’s deed as a hurdle are mistaken. He said the requirement to maintain public access refers to a different location, known as Well 8, while the one on in question is Well 9. Ferguson said the sale condition should still probably be rescinded, which he’s been advised requires the agreement of the authority and the city as successor to the Town of Ancaster. ← This is a letter from the Health Dept City of Hamilton to the Hamilton Conservation Authority with regard to the claim of “imminent closure” by Councillor Ferguson.